At age 24 I decided to tell my story. Writing this autobiography gave me the opportunity to pay tribute to my family members who are passionate about life and have instilled this passion in me. My parents' extraordinary support, encouragment, and pure love were my foundation as I navigated life, overcame obstacles, and achieved successes as a young woman with cerebral palsy. I have to pay full tribute to my mother, who died in August 2010. From her I learned to listen to my own voice as a guide to making life choices. She taught me to always expect the best from myself. 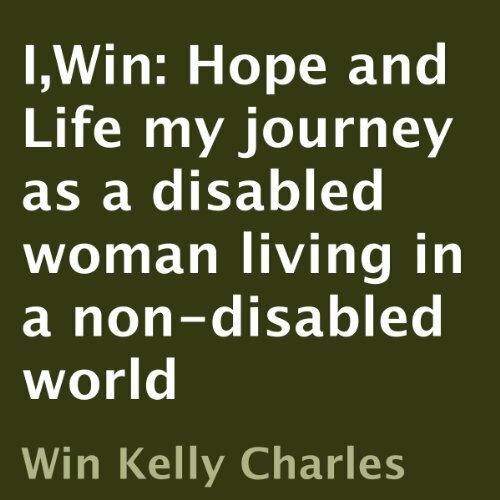 My hope is that this book will provide insight into the extraordinary possibilities that those who live with disabilities have. I also hope that those without disabilities - rather than focusing on our differences - will come to understand what we all have in common. This book is for my mom, with love. The narrator's voice is clear and easy to understand. She does an excellent job narrating the text.